The Scoop: The world is a huge place and people can only explore so much. 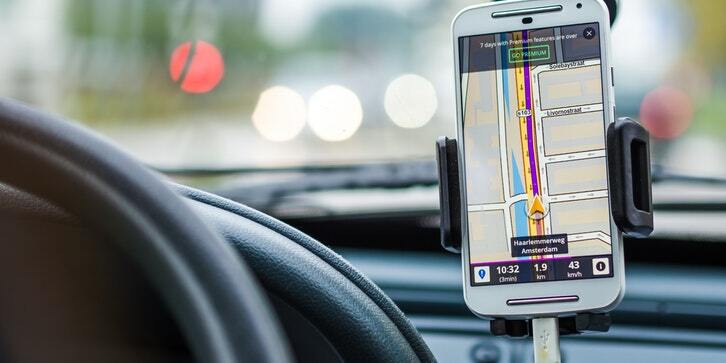 Google Maps plays an important role when it comes to navigation. However, technology isn’t perfect and expect a few mishaps every now again. Check out how Google Maps ruined people’s lives instead of helping them out. Google Maps has been a fixture on everybody’s phone and has replaced the cumbersome use of a physical map. Ever since the integration of digital maps on people’s smartphone, it seems that people have nothing more to do than depend on it. However, like mentioned, technology is far from perfect right now. People blindly follow Google Maps for directions when sometimes, it’s like expectation versus reality all over again. Maybe this is the apps’ way of telling us that its tired of us searching for funny things on the maps. Here are some of the moments where Google Maps ruined people’s lives rather than helping and giving them a life. With so many people using the internet on a daily basis, it has become the top reference for people everywhere. There is a good reason why each and every business article that exists on the internet is telling you to check your business listings regularly. This is where people get to locate and send reviews and feedback regarding your store. However, with the help of Google Maps, hackers gained the power to close your business so easily by manipulating the information in Google Maps. Hackers can report to Google Maps that your business is permanently closed even though it’s not. The internet is the new references for people in the world. Places, businesses, and even people. There is a reason that the saying “if you don’t exist on the internet, you don’t exist at all” is deemed to be true. This is what happened to the city of Sunrise, Florida. Not only that it was wiped off the digital map once, but on three separate occasions. Local businesses have plummeted and food orders were delivered cold. Despite being an existing place, Google Maps officially turned Sunrise, Florida into one of the mysterious, disappearing cities. Fortunately, it’s one that you can actually visit. Demolishing a house is like marriage. It is a commitment and a huge step to do complete with complex decision making as well as planning and paperwork. Let’s not forget about the cost and the things you will lose. Is this really about demolishing a house or marriage? Anyways, tearing a house down is a big deal. However, can you imagine going home to find your home got demolished by accident because Google Maps gave the wrong place to the demolishing team? Apparently, one woman gets to experience that herself. Check your houses on Google Maps and make sure its the same place, guys! Being a tourist has its advantages and disadvantages. On the upside, you get to visit someplace new and you will have the adventure of your life. The downside? You’ll be blind as a bat when it comes to navigating your way to those famous places. For those who wanted to save on hiring a guide, they depend on good old Google Maps. The app is good for misleading tourists miles from their destination that most of the places anticipated that and put up signs for them. In the end, they should have just spend money on the guide. As you can see, technology is still far from perfect. It still has a long way to go to become the feared technology that everyone is fearing in the future. However, before we get to that, it is better that we exercise limits as well as rules and regulations on how to use it after these life-changing errors are fixed. Maybe getting that physical map might not be a bad idea after all. So what incident have you experienced that Google Map left your life in shambles? Like this article? Check us out for more tech scoops.